For brick and mortar stores, it’s often challenging to keep up with progressive marketing techniques. So many of these new strategies are designed with ecommerce companies in mind and they simply don’t transfer over to physical stores. However, this isn’t always true. For example, take a look at text messaging. 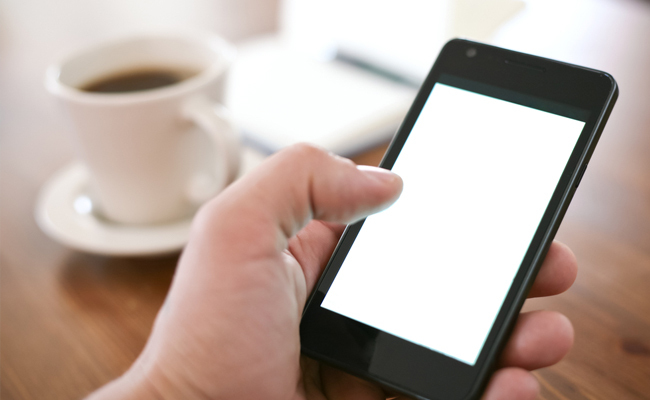 Not only can retailers leverage SMS, but it also produces some pretty fantastic results. Over the past decade, smartphones have fundamentally changed the way in which people communicate throughout the world. In the United States alone, Aaron Smith of Pew Research Center reports that two-thirds of all Americans own a smartphone – with 19 percent relying on their smartphone for accessing the internet and staying connected to real time information. Approximately 10 percent of Americans own a smartphone but don’t have broadband internet in their home, while 15 percent own a smartphone and have a limited number of other options for going online. According to Smith’s research, 97 percent of smartphone owners use text messaging at least once per week – including 100 percent of those within the 18-29 age group. Comparatively speaking, email is still one of the most common activities for smartphone owners, but the numbers fall well below SMS, with 88 percent of owners accessing email on their phone at least once per week. What all of this data shows is that smartphone usage is increasing in popularity. While only 35 percent of Americans owned a smartphone in 2011, that percentage has ballooned to 64 percent in a matter of four years. It’s not hard to imagine a point in time where smartphone ownership in the U.S. nears 100 percent. And as market penetration increases, so does the use of the internet and SMS. As a retail business owner or marketing professional, it’s important that you don’t overlook SMS as a form of mobile engagement for your brand. While it’s relatively new – when compared to email marketing – SMS messaging consistently delivers higher open rates and better results when consistently utilized over a long period of time. Plus, it can help you stand out from the competition. However, it’s also important to develop a plan and proceed with some level of caution before diving headfirst into SMS marketing. According to our own research in association with eDigitalResearch, we’ve found that only 43 percent of consumers are happy to provide retailers with their phone number in order to “communicate relevant information.” This is likely due to the fact that smartphones are seen as private personal devices. While every retailer’s situation is unique, let’s look at some of the more effective methods for utilizing SMS to deliver superior experiences throughout various stages of the customer journey. One of the advantages of SMS is that retailers are able to deliver targeted content to customers while they’re on the go. When it comes to coupons and deals, this is incredibly valuable. As opposed to needing to print off an online code or physically cut a coupon out of a magazine, customers can simply carry their phone with them and present the coupon at checkout. At OpenMarket, we serve over 400 enterprise customers, including 4 of the top 10 global brands. We take pride in our ability to offer customers a reliable and secure platform for mobile engagement. With a single connection to our expansive network, you get access to billions of mobile subscribers globally. Whether you’ve worked with another SMS provider in the past and need a fresh start, or you’ve never before invested in mobile engagement for your business, now is the time to consider working with us. Contact us today for more information and we’ll show you how OpenMarket can help transform your business.